What can we learn from a day in the life of a student? The Shadow a Student Challenge is a fun, illuminating, and supportive journey where school leaders come together to empathize with their students and take new kinds of action at their school. 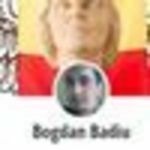 What is Shadow a Student? Educators and researchers have long known that shadowing can lead to powerful observations and insights to drive change. The Shadow a Student Challenge provides methods and a network to help school leaders take the time to build student empathy, especially for those students who may be at the margins, and translate insights gained into immediate action. Shadowing a student embodies the idea of 'walking in another's shoes' and can push leaders to challenge assumptions and establish deeper insights. It is an immersive experience in observation. While school leaders spend much time in classrooms throughout their school day, it’s often for just a few minutes at a time, or at most, one class period. Often, the focus is on instruction, behavior, or school business. What is missed is how these moments play into the whole student day. But if the goal is to serve all students in all aspects of their learning in our schools, leaders need to understand the full range of how students experience school. In particular, staff need to understand the experience of those students who may be underserved or at the margins of our school culture. Shadowing a student gives the opportunity to understand school from a student’s perspective by immersing fully in the experience of being a student for the day. Leaders start by seeing school through their student's eyes, identifying meaningful opportunities to improve the school experience for the students, and then taking action to create change at their school site. This is organized into 4 steps: Prep; Shadow; Reflect; and Act. In a busy leader’s schedule, the main challenge is often time. The Toolkit provides a Prep Coordination Checklist to ensure that logistics are taken care of, enabling the leader to focus on the shadow day. The Shadow a Student Challenge is an initiative of School Retool. Coming out of IDEO and the Hasso Plattner Institute of Design at Stanford University, with support from the William and Flora Hewlett Foundation, School Retool is a professional development fellowship that helps school leaders redesign their school cultures using small, scrappy experiments called “hacks.” In peer cohorts, school leaders practice the mindsets and a change framework to build toward a culture of Deeper Learning: mastering rigorous academic content, learning how to think critically and solve problems, working collaboratively, communicating effectively, directing one’s own learning, and developing a learning mindset. The Shadow a Student Challenge is not the first attempt to encourage school leaders to walk in their students’ shoes. Educators, ethnographers, and researchers have long known the value of shadowing, especially to increase empathy for students. Many resources also encourage the practice, offer guidance for the experience, and provide tools to help educators use the insights they gain. The purpose in this challenge is to amplify this practice, create a community of leaders driven by empathy to make change in their schools, and, ultimately, support them to take action toward Deeper Learning. 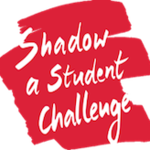 The Shadow a Student Challenge is aimed at principals or other school leaders. To take part, you'll need a clear day on your calendar, an open mind, and a readiness to experience life as a student. You should set aside one shadow day and at least one day to act on the insights you've gained. The concept of shadowing for empathy is not new and many school leaders have seen the value in for some time, yet never been able to act on it. The challenge helps school leaders commit to taking the time to do it, reflect, and then act on their insights, in the context of a wider community. Over 1,800 people signed up to shadow in 2017. Principals get an authentic insight into the realities of school for their students and this fresh outlook can be used to revolutionize the way school is organized and run. Educators from 50 states and 61 countries participated in the 2017 Shadow a Student Challenge. The challenge is open to all school leaders - at any school, anywhere in the world! Create learning goals for your Shadow Day, choose a student, and start questioning assumptions. The purpose of the prep phase is to help you prepare to have a meaningful shadow experience. Reflect on your observations, question them, and draw connections to opportunities for action. You’ll reflect on the meaning behind your observations and find opportunities for action.